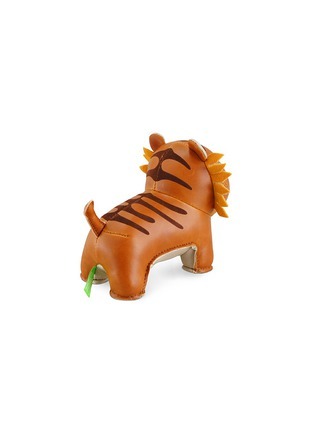 Add a dash of whimsy to the reading menagerie with this quirky bookend from Zuny. 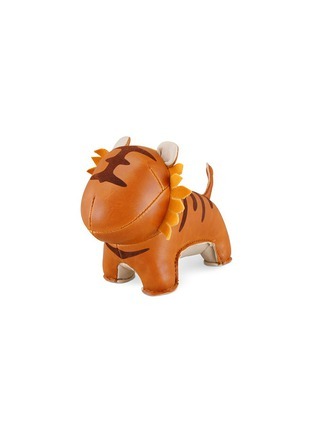 Crafted from tan synthetic leather, Mateo the tiger is filled with heavy iron pellets so he can stand tall against your heaviest volumes. Brimming with childlike appeal, this striped critter will be your tot's go-to companion come story time.